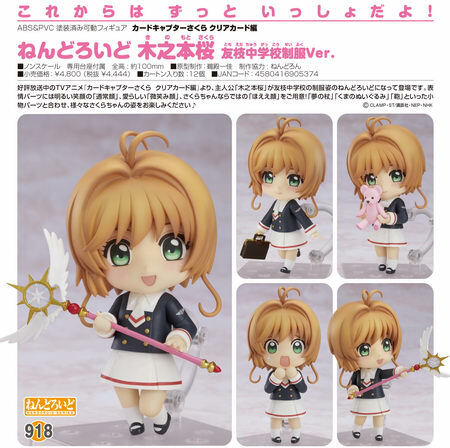 May 31st, 2018 By: GGT Category: 2018/10 release, Figure News. 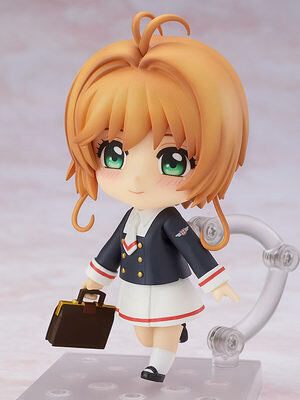 Good Smile Company is going to release the Nendoroid No.918 Kinomoto Sakura ( 木之本桜 ) Tomoeda Junior High Uniform Ver. 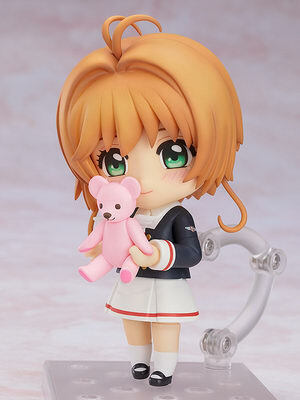 ( 友枝中学校制服Ver.) 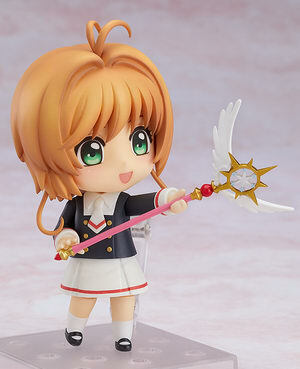 action figure from the manga/anime “Cardcaptor Sakura” ( カードキャプターさくら ). Will be released in October 2018. 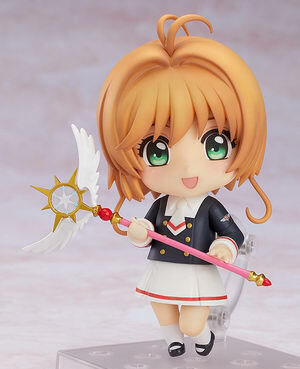 Around 100mm, 4,444 yen. 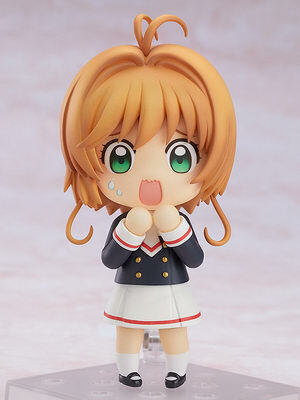 Purchases of Nendoroid Sakura Kinomoto: Tomoeda Junior High Uniform Ver. 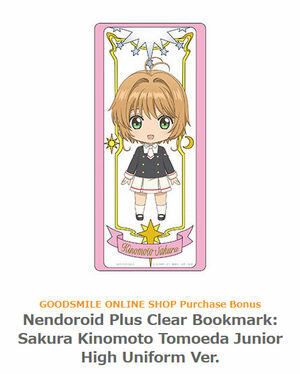 from the GOODSMILE ONLINE SHOP will include a Nendoroid Plus Clear Bookmark: Sakura Kinomoto Tomoeda Junior High Uniform Ver. as a bonus! The bonus will be sent at the time your product is ready to ship. Designs shown here is for illustrative purposes only. The final product may differ. "We’ll be together forever from now on!"